Lynn Irvin is an Administrative Coordinator at Chemeketa Community College for the College Support Services Division. Lynn loves being a part of the state board and is really honored to be elected to this position. She is excited to put her energy and skills into coordinating OILD and being president of the state chapter! Please contact her with your ideas! An outgoing person, Lynn takes pride in the many college endeavors and activities she has been involved in at Chemeketa. She served for six years on the Wellness Committee, two years as the chair. She also serves on many committees including the President’s Advisory Council, the Insurance Task Force, the Holiday Social Committee and plans employee recognition events. Lynn was Chemeketa’s representative to AAWCC’s OILD in 2002 and attended the college’s LifeLong Leaders class. She participated on Chemeketa’s Portland to Coast relay team twice. Currently she is serving as president of the Chemeketa AAWCC chapter. They were recently awarded the 2015 National Chapter of the Year Award. A member of Phi Theta Kappa, she takes online and PE classes every term and loves the lifelong learning environment that is a part of the college. She was selected as the AAUW Outstanding Graduating Woman when receiving her associate’s degree. Lynn is married and is super proud of her two children. Her son, Ross graduated from Chemeketa’s automotive program. He has a great job in the automotive industry and a large, happy family. Her daughter Sara, is attending grad school at Vanderbilt University in Nashville. What a wonderful place to visit! Her husband, Bruce is retired from the Navy and works at Chemeketa as the Veterans Certifying Official. On the local level, Deb has been a member of her local chapter for many years serving as President-Elect, President and Past President. She attended OILD in 2006 and states that the networking alone was invaluable. As for her positions on the Oregon AAWCC Board, she shared that she was “always excited for the opportunity to work with such brilliant women and to assist in bringing development opportunities to others around the state.” Deb has served as the VP of Records since 2013 and accepted the President-Elect position in January 2017. When not working, Deb enjoys spending time with her family and friends, hunting and fishing, and travelling when possible. Deb is an avid Duck fan! Donna has worked at Lane Community College since 1990 and currently holds the position of Executive Assistant to the President and Board of Education. She has been involved in AAWCC since 2000, serving on the board of Lane’s local chapter, attending activities hosted by the Oregon chapter, and participating as a national member. Donna held the position of VP Records on the Oregon AAWCC Board from 2007 to 2011 and has served as VP Communications since 2013. AAWCC has had a positive impact on her life and career, and she finds it quite gratifying to support the personal and professional development of women in community colleges. Teri has worked for Clackamas Community College for 19 years. She has worked in the Business Office, the Small Business Development Center and the last 17 years in the Customized Training & Development Services department. That experience has allowed her to work with many different organizations and industries, and she strives to turn every customer engagement into a continuing long-term customer relationship. Teri has an Associate’s degree in Accounting and a Bachelor’s degree in Business Management. Teri is new to the AAWCC board although she has attended AAWCC conferences for over 15 years. “I was very fortunate to work with an AAWCC board member when I was new to the college and that introduction to the organization has stayed with me for 15 years. It is my pleasure to be a part of this organization and I am eager to work on the Summer Conference. 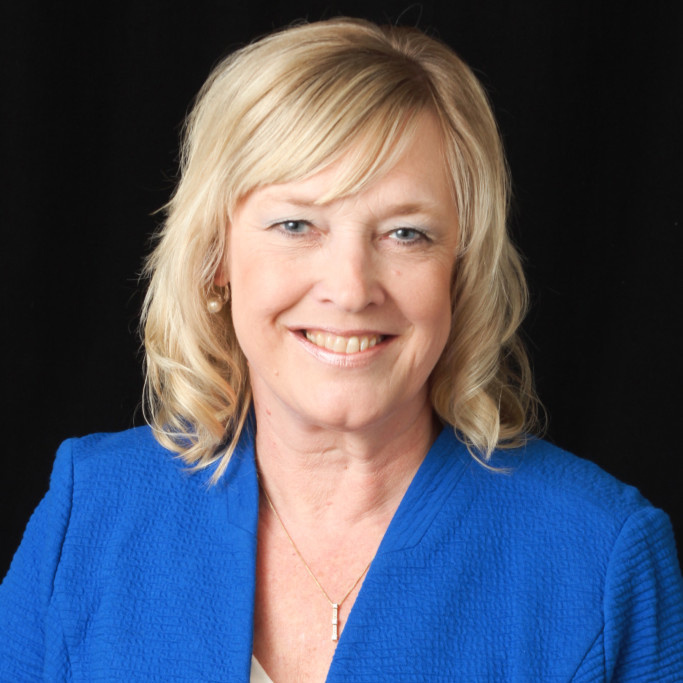 Donna Lewelling is the Education Division Director for the Office of Community Colleges and Workforce Development (CCWD) at the Higher Education Coordinating Commission (HECC). Working her way up through the organization, Donna began her journey in higher education in 2006 when she accepted a position as the Executive Assistant to the Commissioner for CCWD. In 2010, Donna was promoted to the position of Education and Workforce Coordinator where she worked on the Oregon Community College Student Success Initiative, coordinated and managed the FTE Audit, served as the agency point of contact for student complaints and noncredit course approval. In 2012, when HECC was assigned its first legislative tasks, Donna began her work related to Credit for Prior Learning (CPL). In 2014, she accepted a position as the Academic and Student Affairs Policy Specialist within HECC’s Office of University Coordination. In January 2016, she began her new role as the Education Division Director and is excited to once again be working closely with Oregon’s community colleges. Donna is passionate about student access and completion and has served in multiple roles on statewide committees. She is also passionate about women’s issues and credits her time spent with the women of AAWCC with giving her the strength and courage to further her career and chase her dreams. She lives in Sweet Home with her husband, Todd. They have three adult children and three grandchildren. Their furry canine child, Furball “Furby” Lewelling is actually in charge of the house, but don’t tell him, he is already too spoiled. When Cherie is not at work, she enjoys spending time with friends and family, gardening, cooking and fly-fishing on the Deschutes River. Sydney Frost joined Mt. Hood Community College (MHCC) in 2009 as Student Outreach Coordinator and has since sampled out and stepped into the roles of Manager for Student Outreach & High School Services, instructor to a 3-term series of Educational Leadership, student conduct officer, and Future Connect Project Manager. As of 2014, she has settled into her current role of Manager for Student Recruitment, Orientation & Testing Services. 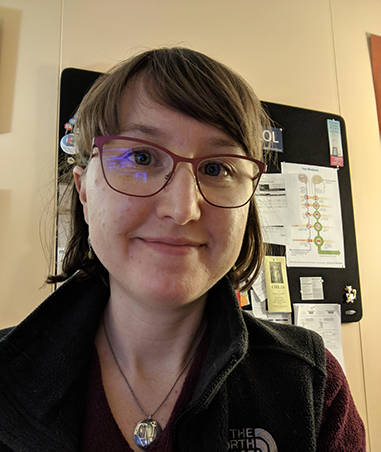 Heather started working at Mt Hood Community College in 2011, as the Library Technical Services Coordinator; in 2015 her role expanded to include Textbook Affordability and OER initiatives campus-wide. Prior to MHCC she worked at Portland Community College for three years as a Reference & Instruction librarian, and held the same position at Portland State University for one year. Before moving to Portland in 2007, she worked as a librarian in a private high school and at a SUNY college, in Buffalo, NY where she was born, raised, and educated. Heather attended OILD 2013 and quickly realized AAWCC was an organization she wanted to be involved in, joining as VP of Registration, later that Fall. She also serves as Archivist for MHCC’s local chapter. 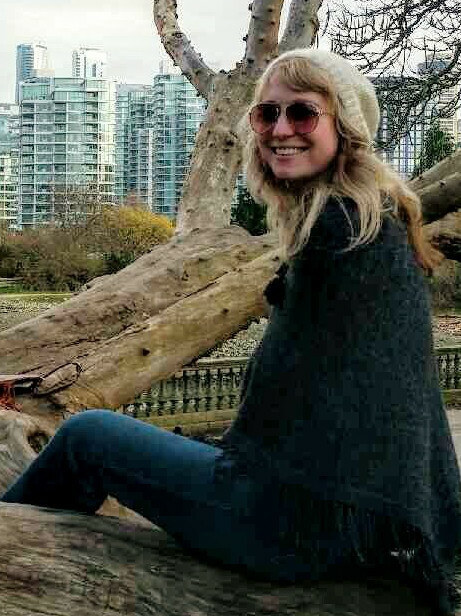 In her spare time, Heather enjoys reading, gardening, jigsaw puzzling, hiking, meditating, Pilates, yoga, swimming, and spending quality time with her friends, family, and pets. Lynn has worked at Lane Community College since 2001. She is presently the interim Professional Organizational Development Director. She has worked in other positions at the college, including Grants Implementation Manager and TRiO STEM Director. Lynn came to Lane as a student in the Culinary Arts Program. She and a friend thought they wanted to open a catering business but soon realized that it was not a good fit. Because of her background in urban planning and community development, the college hired her on a part-time basis as a Project Specialist to assist with the accreditation of the culinary program and development of a new conference center. Lynn is new to the AAWCC board. She feels that working on AAWCC special projects would be like going back to her roots in higher education. She is excited and, honestly a bit nervous, to be participating with such high-achieving and incredibly talented women. Lynn spends her personal time puttering in the garden, reading cookbooks, and wondering what to cook up for dinner. Lydia is a Web Development Technician at Portland Community College. She has been working on the PCC website since 2008, when she started as an intern. She has a Bachelor’s degree in Liberal Arts and an Associate degree in Applied Computer Science. Lydia was raised in Clackamas and Multnomah Counties, and likes to spend time exploring the NW by foot, bicycle, train, van, and pickup. Jan Woodcock has been a full time faculty member at Umpqua Community College since 1994. She teaches psychology and human services. Jan directs the Pacific Northwest Great Teaching Seminar for community college faculty. She is a co-director of OILD (Oregon Institute for Leadership Development). Jan has a Master’s degree in Theological Studies from Harvard University and a BA in English and Secondary Education from Westminster College. Her past jobs include junior high English teacher, elementary school counselor, hospital chaplain, and YMCA Camp Program Director. She has also worked on a tall ship in the Mediterranean, a horse ranch in Molalla, and a youth camp in Kentucky. Karin has worked at Linn Benton Community College for 17 years as a Workforce Training Specialist in the Business and Employer Services Department. She is a dedicated and creative teacher, facilitator and instructional designer. Karin has been active in LBCC’s local chapter of AAWCC, serving as Co-President twice and holding a variety of other offices as well. She is currently serving as LBCC-AAWCC Vice President for Program & Publicity. She has been a regular presenter at the AAWCC Annual Fall Conference and always looks forward to the opportunity to grow and learn with other women committed to the AAWCC mission. In her time away from work, Karin plays the bassoon in community music groups, loves arts and crafts and spends more time in her garden than she does doing housework which, as she sees it, is at it should be! Mary Spilde, President, Lane Community College in Eugene, Oregon, August 2001 to present. Mary joined Lane in 1995 as Vice President for Instructional Services. In 1997, she became Vice President for Instruction and Student Services. Prior to that, she served 15 years at Linn-Benton Community College in Albany, Oregon, in a variety of positions including dean of business, health, and training. Mary served on the Oregon Workforce Quality Council for six years and the Oregon Workforce Investment Board for three years as well as serving on numerous local boards. Mary earned a bachelor’s degree in business and social systems and a law degree from the University of Edinburgh, Scotland. She completed a master’s in adult education and a doctorate in post-secondary education at Oregon State University. Presently, Mary is past chair of the American Association of Community Colleges board of directors and serves on their Sustainability Task Force. Lane Community College is a League for Innovation in the Community College board college, and Mary currently serves as a board member and was co-editor of the League publication The Sustainable Community College: Holistic Approaches to Sustainability. She is also a board member of the American Association of Colleges and Universities and recently served on the steering committee for the American Presidents Commitment to Climate Control. 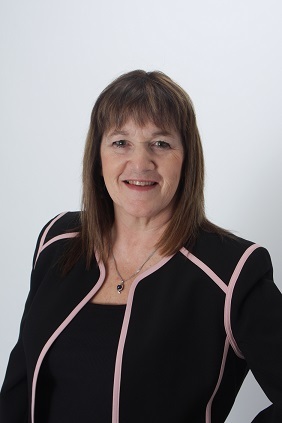 Julie Huckestein has over 27 years of experience in community colleges and is currently the President/CEO at Chemeketa Community College in Salem with two campuses and five outreach centers serving 42,000 students per year. Prior to joining Chemeketa, Julie worked at Linn-Benton Community College in Albany, Oregon. She earned an AS degree in Business Administration from Linn-Benton Community College, a BA degree in Management and Organizational Leadership from George Fox University and a Master’s degree in Education: Policy, Foundations and Administration from Portland State University; all while pursuing her community college career. Other work experience includes seven years at an accounting firm and two years working for a non-profit. Julie has served as the VP for Finance for the National AAWCC organization. She has been active in the local AAWCC organization for over 20 years and at the state level since 1997 where she served on the board and co-directed the Oregon Institute for Leadership Development. 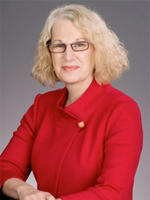 She has presented at various conferences on the topics of budget and finance, computer software conversions and leadership and is an evaluator for the Northwest Commission on Colleges and Universities. She attended the National Institute for Leadership Development in 2007 and the Oregon Institute for Leadership Development in 1993. She and her husband Jim have three adult daughters, Rachel, Kelly and Erika and three fabulous grandchildren! She enjoys spending time with her family and friends, reading, traveling and camping. Our mission is to inspire, champion, and celebrate the talents within each of us. Never miss another conference or update! Get on our mailing list to have news sent to your inbox. unite	Unite Theme powered by WordPress. Log in.